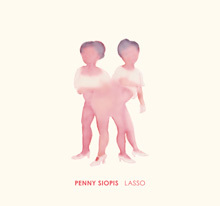 In her catalogue introduction, Siopis writes: ‘Lasso speaks of the “poetics of vulnerability”. Ideas work more by association than direct narration. In this, the medium is as important as image or narrative.’ More than 30 of Siopis’ paintings – in oil, ink and viscous glue – are reproduced in this catalogue, which accompanied her first solo show in Cape Town since 1984.